You have not posted on this blog for ten days, (Oh my! Was it that long?) How time flies when you are pursuing reality; trying to get as much out of my mother for a memoir after 50 years or so of your life and finding that you still can’t get her to talk about EVERYTHING, applying for many jobs and getting no response and it is ok when it should not be (because you are worried about your mortgage and your bills and what your family is going to eat), trying to stay positive while the news about how your country (PNG) is going to waste away at the hands of politicians, university students being shot by police because they want to voice what is right, and another bright young student loses his life to Malaria when he could have been saved, receiving sad news that one of your heroes (Mohamed Ali) has died…and the list goes on. Many writers are faced with reality versus fiction every day. Sometimes it can be hard to separate the two, and it makes you think hard on what is real and what is not. I also found it interesting that my perception of some important things I remembered when I was a child was different from what my mother told me today. Sometimes, in our recent discussions, I even realised it was not even the reality versus fiction, but a different or two conflicting points of view – hers and mine. Perhaps I found myself thinking too hard about this topic in the past few weeks that I needed to write something about it. 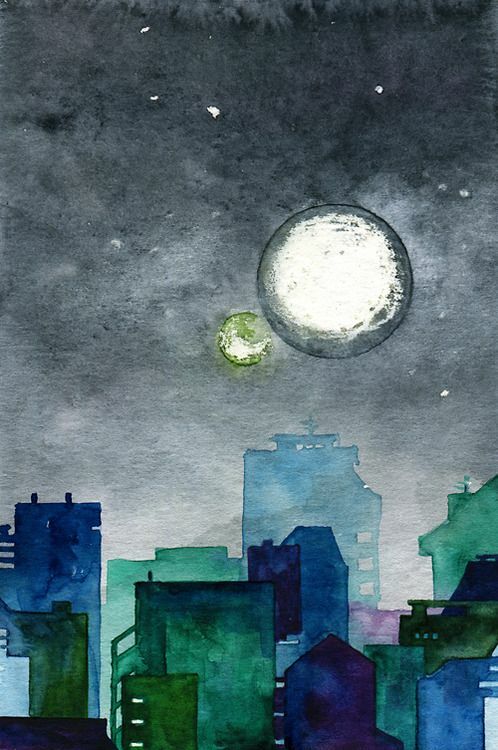 Anyway, I’m rambling, but glad to be writing here again and I have a piece here from my friend Teresa Buisman about 1Q84 written by Haruki Murakami which I think is relevant to what I am writing about. A few days ago, Teresa watched the documentary I posted on tribalmystic blog about Haruki Murakami and his work of fiction. I was surprised to learn that Teresa had read 1Q84, a trilogy I bought for my son Nathan two Christmas’s ago, but he never read the book so I read it myself. The only complaint I have about this book is that, it really strained my finger muscles while reading it in bed, (it is of 1300 pages and heavy) and if you are into this kind of story, be prepared to lock yourself in a room where no-one can disturb you for five days. If you ask me if I slept at all – I probably didn’t, but I can’t remember anything else except the story. This piece on reality was written two years ago as Teresa was reading the book. I’m reading a book called 1Q84 by Japanese author Haruki Murakami – I love his writing; it gives me food for thought. One of the things that he’s making me think about this time is the perception of reality. The book is set in an alternative 1984 and whilst some things are the same as “normal” other things are completely different. For instance, there are two moons in the sky – one is the regular moon as we know it, the other is a smaller green moon that sits beside it. You would think that people would notice such a change in the night sky but it seems that the majority don’t. They keep living their normal lives, going to work, doing the shopping, moving through their days as they always have. Our heroes, however, are experiencing changes at the core of their reality. I don’t want to spoil the book for those of you who want to read it but it struck me that reality is perception just as much as perception is reality – does that make sense? What is real for some people is far-fetched and out of reach for others. Look around you, there are examples everywhere. Take the lady on Hay Street this morning: a very chilly morning for Perth at around 2oC. She’s there on the street with her little sign asking for your spare change. The sign tells you she’s homeless, suffering with MS and has no money. She’s got a blanket over her knees, she’s shivering and dishevelled. Her eyes are dim pools of hopelessness, she’s given up. This is her reality. Does she ever see that there could be another reality for her? As I pass I drop a few coins in her collection box, hoping that other people will also be kind and that she’ll find warmth and comfort to help her through the chilly days ahead. I don’t know what to say to her, she’s from a different world to me as I head off to my corporate job in a swish glass and marble building with warm drinks on tap and wonderful views down to the Swan River. Do I feel guilty about the relative affluence of my reality? Perhaps I think I have worked hard and deserve my good fortune? Or perhaps I feel bad for only giving her enough coins to buy herself a coffee instead of slipping her a quick $50 that I probably wouldn’t even miss? Or maybe I just take it for granted and don’t think about it at all? But whichever way I look at it, the MS lady and I live in very different realities – in the same town – working in the same street. Do we make our luck, our own reality, or is it fate – destiny? Those of us who are fortunate enough to live in the affluence of the western world have the opportunity to make our own reality. But what about the MS lady? What’s her story? She’s from this same westernised affluent society isn’t she, so what makes her reality so different? What a conundrum…..I struggle with these questions much….glad you wrote….allows me to see other’s perception of what is real for them….and how they address or avoid it…..
🙂 Thank you Kah Wah – how are you?